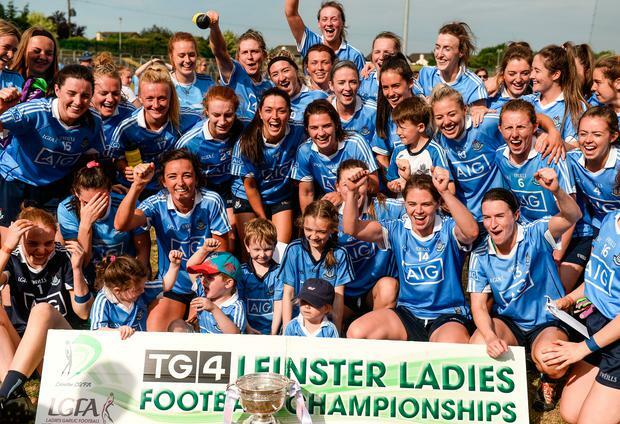 Dublin manager Mick Bohan said his players were not concerned about winning a seventh TG4 Leinster crown and were just keen to kick-start the defence of their All-Ireland title against Westmeath yesterday. 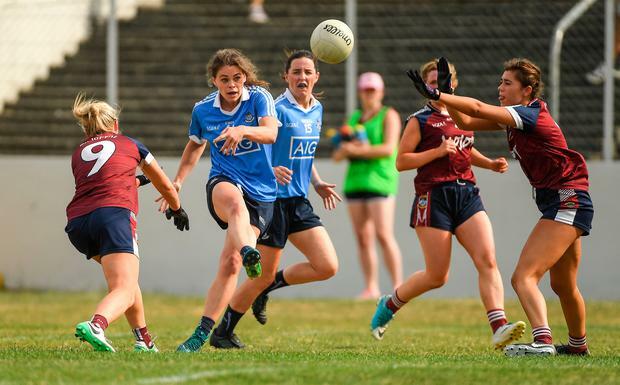 Two goals from Niamh McEvoy and a 1-5 haul from Sinead Aherne ensured Dublin were always in control at Netwatch Cullen Park, despite Aoife Connolly's wonder goal for Westmeath before the interval. 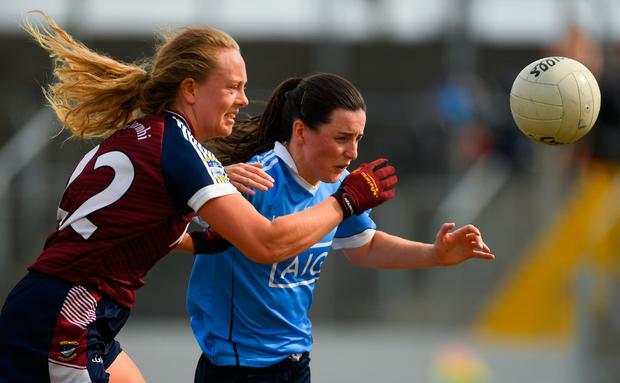 Noelle Healy and Lyndsey Davey also found the net before the break for Dublin, who now face Mayo - in a repeat of last year's TG4 All-Ireland final - and Cavan in the round robin series of the Championship. Westmeath will slot into Group 3 with Galway and Waterford. "We weren't looking at the number. It was obviously just the start of a competition for us today so that's the way we took it, although it's nice to rack up another title," said Bohan. "We were very rusty at times and the reality is that going straight into a Leinster final isn't ideal, but that's the way it is and we did what we had to do. "There was a 15-minute period when we were completely out of the game, so we have a lot to work on. The journey has started, so we're already looking ahead." Scorers - Dublin: S Aherne 1-5 (3f), N McEvoy 2-1, N Healy 1-2, L Davey 1-0, H O'Neill, N Owens and A Connolly 0-1 each. Westmeath: L Slevin 1-3 (1-0 pen, 1f), A Connolly 1-2 (2f), MA Foley, J Maher & A Dolan 0-1 each. Dublin - C Trant; M Byrne, S Finnegan, L McGinley; S Goldrick, D Murphy, L Caffrey; O Carey, N McEvoy; N Owens, S McGrath, H O'Neill; S Aherne, N Healy, L Davey. Subs: C Rowe for O'Neill (25), N Collins for Murphy (HT), L Magee for Carey (39), A Connolly for Owens (41), M Ni Scanaill for Caffrey (50). Westmeath - K Walsh; L Power, J Rogers, R Dillon; F Coyle, K McDermott, N Feery; V Carr, F Claffey; A Dolan, L Slevin, MA Foley; A Connolly, L Walsh, L McCartan. Subs: A Jones for Carr (30), C Blundell for Connolly (45), J Maher for Dolan (45), A Ruane for Power (52). Louth claimed the TG4 Leinster ladies junior title with a comprehensive 3-9 to 0-8 victory over Carlow. This victory was a particularly emotional one for Louth following the sudden passing of their manager Micheal McKeown in recent weeks. A brace of goals from Niamh Rice in an inspired second-half saw them over the line to their fourth title. Laois were 2-13 to 0-13 winners over Wicklow in the intermediate decider. Megan Dunne's goal in the fourth minute of the second-half gave Laois a 10-point cushion and they looked to be really cruising. However, Wicklow weren't going away just yet and they valiantly chipped away at the lead before running out of time to lose by six. Yesterday's defeat halted Wicklow's amazing unbeaten run for 2018 after 11 games.